Hey all….Its been quite long that I wrote as some personal work kept me busy. But today I bring to you my journey to the last indian village called Mana 🙂 . The village gets its name from “The Manas Putras”, the biologcal sons of Lord Brahma. 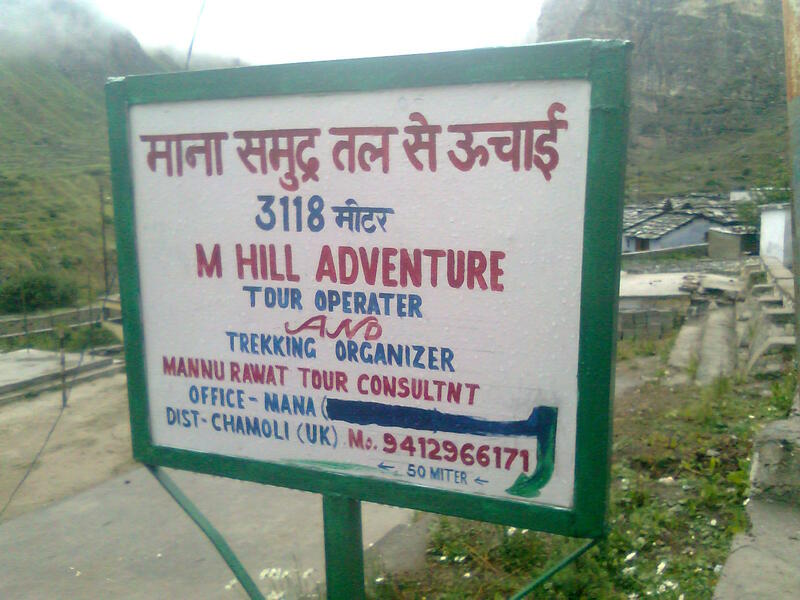 This was one of my excursions during my trip to the holy shrine of Badrinath, as Mana is just 3 kms from there. 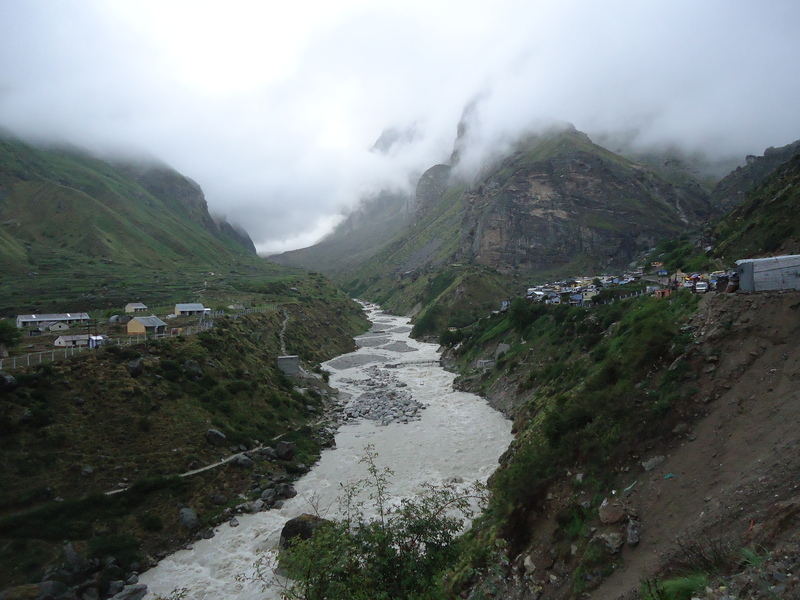 This is a rather small village located in the district of Chamoli in the state of Uttarakhand. The altitude will be around 3100m above sea level. The visit to this place has been one of the most exciting of all my trips. It feels so different to be standing just a few kms away from the Indian border and more so when you are having a cup of tea at the last Indian tea shop. 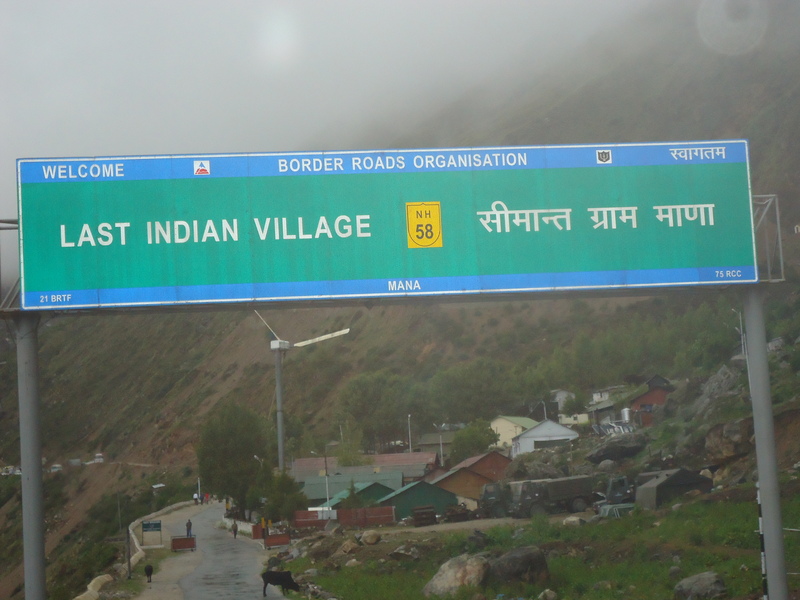 Ahead of this village lies the Mana pass at a distance of around 24Kms. The village is very sparsely populated, with around 500-600 inhabitants. I was lucky to meet the locals, as I travelled there in the month of July(may be the hottest of all the months up there for them, still you can see me in woolens in pictures below 😛 ). During winters, from September to March, the locals come down to lower regions as this whole area is covered up with snow. Life is really tough up in the hills for people, due to temperture, land slides, high altitude. The locals are the Bhutias, whose living is mainly based on the tourism of Badrinath & cattle grazing and a bit of agriculture. Every tourist will be mesmerized by the simple living style of these Bhutias. The houses are build out of blocks of stones, mud-plastered with most of the roofs covered with slate tiles. You can imagine now, how cute will it look, just like the villages of fairytales 🙂 . 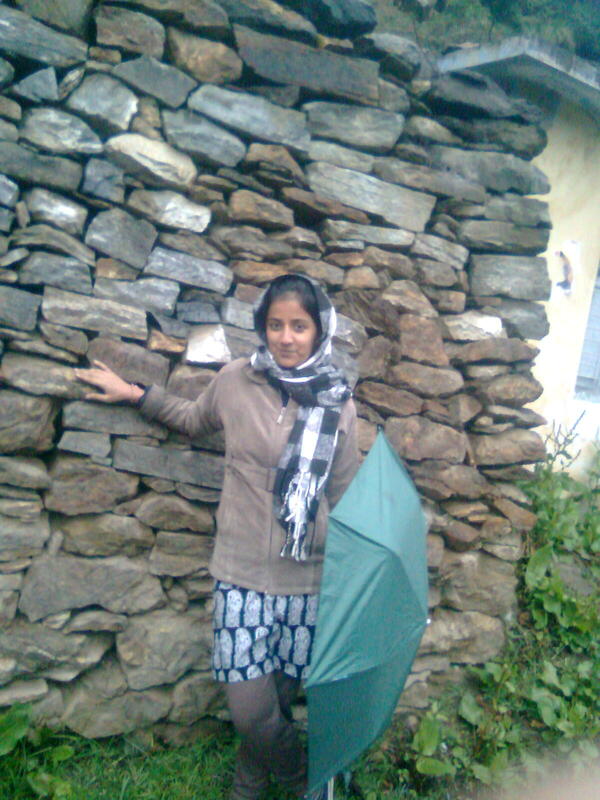 Its me…..cold weather doubles with untimely rains….nevermind!!! The village is a sort of hilly terrain with narrow stoned pathways. I was like losing my breath climbing up the village to reach the last indian tea shop, where I can relish on a hot cup of tea. 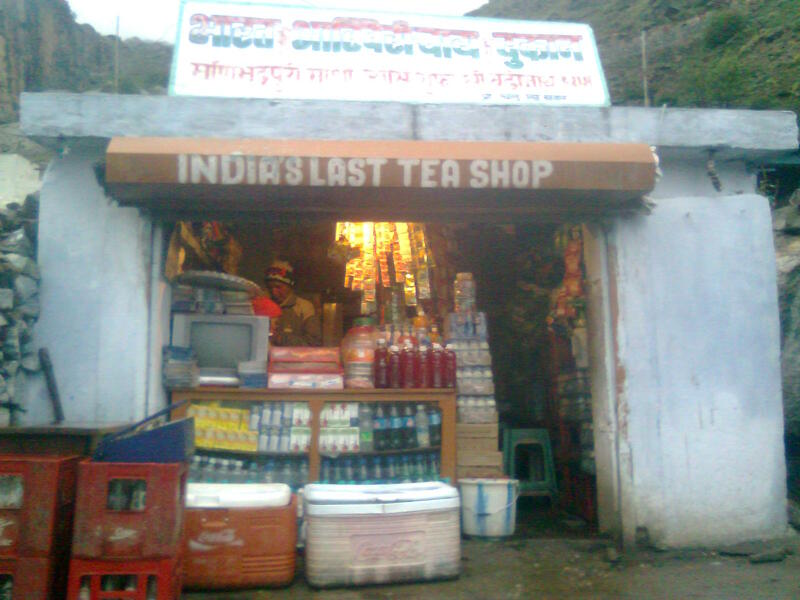 Mana boasts of having the last tea shop on the border of India, at such a great height. The picture below says it all. It was an official family trip, so all of us had a wonderful evening sipping a cup of hot tea with biscuits, in an awesome weather. After relaxing for a while, we explored the Bheem Pul, Saraswati River, Vyas Cave, Ganesh Cave. History revolves around you, as you walk through the lanes of this village. Its so fascinating when you get to visit a place, about which you hear only in the tales told by your parents or grandparents from the epic Mahabharata. The Saraswati (Goddess of Knowledge) river originates here at Mana and is visible for about 100m before it goes underground and travels quite a long distance to meet the confluence of rivers Ganga, Yamuna & Saraswati at Triveni Sangam in Allahabad. The Bheem Pul, is a natural bridge of huge rock over the Saraswati river, built by Bheem(one of the five Pandava brothers) for his wife Draupadi. It is believed that this is the place from where the Pandava brothers embarked on their journey to heaven. Is not that interesting? Then there is the Vyas cave, where it is believed that Vyas lived while writing all the vedas. The Ganesh Cave has stories of Lord Ganesh composing puranas and the epic Mahabharata, while Vyas dictated. Woww!!! 🙂 That was so so great and an awe inspiring journey. As the sky darkened, we moved back to our dwelling place in Badrinath to get the night’s sleep, as next day we had to travel back. I urge my readers to visit Mana once in a lifetime to connect with nature, to connect with mythological tales and to feel the simplicity in the lives of people up there. There are lot of Saints living in and around Mana,who has the unique divine powers to control the air circulation of this place.Moving further up from Mana is Swargarohini from where the Pandava brothers embarked on their journey to heaven.